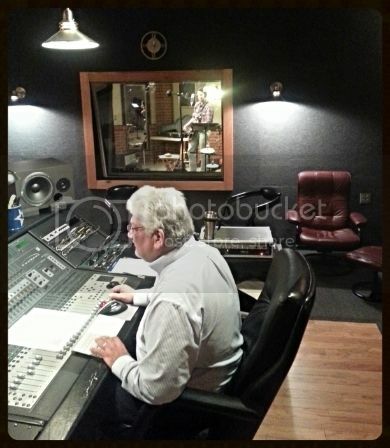 Want a sneak peek into the recording session for Hank 65: The Almost Last Roundup's audiobook?? 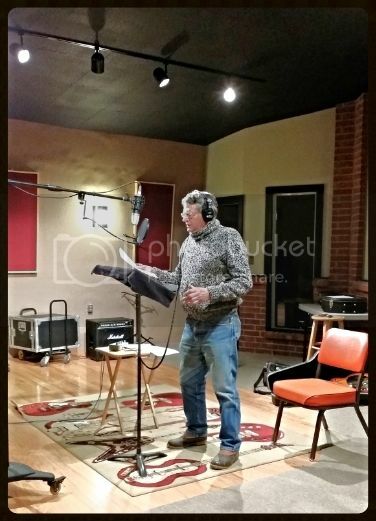 Each audiobook recording session is different, but one thing that stays the same is that John R. Erickson reads the entire book and performs all of the voices of the different characters himself. It takes a few days to get the tracks just right, and then Carlos Casso, the producer (and owner of the "Audio Refinery" recording studio in Amarillo, TX) does his magic behind the scenes, and the final product is the 65th audiobook in the Hank the Cowdog series everyone knows and loves. Did you know that the Hank the Cowdog audiobook series is the longest-running series of children's audiobooks in America? And, they even won the prestigious "Audie" award (awarded to the best titles in audio publishing), for best children's audiobook of the year in 1996! 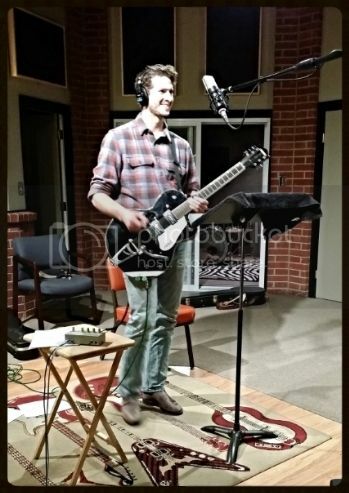 Lots of different people have contributed to the audiobooks over the years, and on both songs on Hank 65's audiobook, you'll hear lots of different instruments and several different musicians. *If you think the fiddle is good on these songs, it's because Eric Chapman plays violin in the Royal Philharmonic Orchestra in London. He was raised in Amarillo and had a blast playing Hank songs! And, here are a few pictures of the process! And Mark Erickson (you knew this was a family team, right?) on guitar. He also does the arrangements for lots of the Hank songs. And last, but not least: Carlos Casso, our fearless producer! He's been putting together the Hank audiobooks for the past 30 years! Hope you enjoyed this sneak peek! And, be sure to listen to the audiobook when it's released on March 16th! And, for more info on Hank #65: The Almost Last Roundup, click here!